You may have a chipped or broken tooth or gaps between too-small teeth. There are many tooth complaints that can be repaired by tooth bonding, which is a less intrusive procedure than many other types of tooth repairs. Simply put, tooth bonding is the application of one or several layers of composite material, a plastic with other materials included to increase strength, hardness, and durability. It is an economical approach to these tooth repairs–and it can be completed in a single visit. If you would like to set up an appointment for tooth bonding in The Woodlands, or Houston, please call 832-610-3123 today for an appointment with Dr. Leah Zils. Tooth bonding is a procedure that can normally be completed in just a single visit. Porcelain restorations like veneers usually take two visits to complete. It can be completed without removing much of your natural tooth material. Sometimes, it’s only necessary to rough the surface of your tooth to improve bonding, and no natural tooth material has to be removed. It costs a fraction of what you’d pay for porcelain restorations. Of course, there are always tradeoffs, and bonding isn’t recommended for everyone in these situations. If your front tooth is chipped or a small part of it is broken off, Houston cosmetic dentist Dr. Scott Young may recommend tooth bonding to build up the broken or chipped section. Several layers of composite will be applied to the chipped section until the missing part is built back up, and then another protective layer of harder composite material will be applied over the repair and cured to a resilient hardness. If your tooth is badly broken, a dental crown may be needed. Tooth bonding may be used to make teeth larger as well. Several layers of bonding material are applied to the surface of your tooth until it is the desired size and shape, and then the composite is cured to a hardened state. If gaps are too large to be corrected with tooth bonding, Dr. Young may recommend porcelain veneers. Tooth bonding may also be used to make teeth appear whiter. It is particularly useful for whitening teeth that have been chemically stained or if their color has been altered by illness or genetics. Dr. Young can more closely match the bonding to your natural shade. Your teeth which have not been bonded will not have a dramatically different shade than the teeth which were bonded. Although tooth bonding is a good procedure, it’s always important to remember the tradeoffs that come with this approach to restoring your teeth. Although it may initially look very good, it can lose its polish, leading to a duller luster than natural tooth enamel. It is vulnerable to staining, though stains can often be polished off. Finally, it is not as strong or durable as ceramic restorations. It can’t be used in situations where it would have to bear a lot of force, and it isn’t expected to last as long as ceramic restorations. To learn more about tooth bonding or to schedule your initial consultation with Dr. Young, please contact our Houston cosmetic dentistry office today.  Dr. Scott Young, DDS serves patients in The Woodlands, Houston, Spring, and surrounding areas of Texas.